Comment: An AESTHETIC one of these Colorado pseudomorphs of sharp, moderate lustre hematite after siderite rhombs very nicely perched on a contrasting, off-white feldspar crystal from Crystal Park. CLASSIC, very fine material from a famous locality- most are so UGLY! 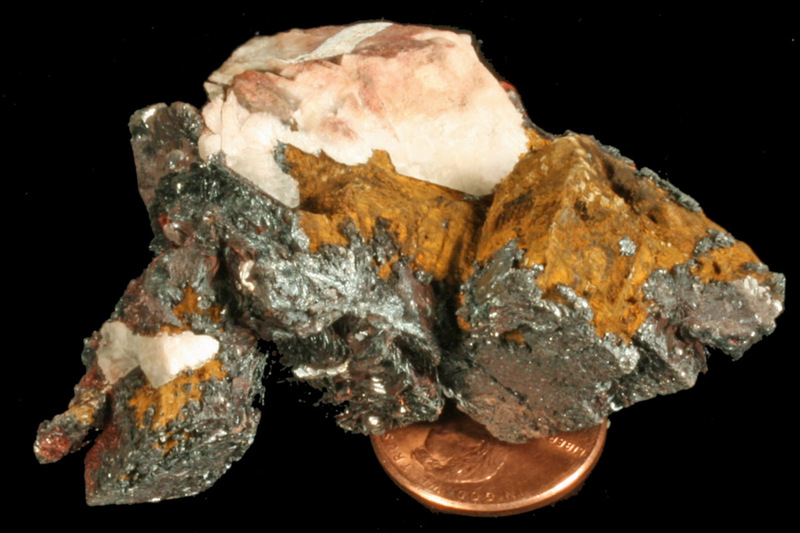 The large crystal on the upper left is 2.3 cm.